How often do you check the tyre tread on your vehicle’s tyres? If the answer to that question is never then you’re like the vast majority of car owners. As much as the basic checking of oil levels and tyre pressure has become ubiquitous rituals of car ownership, tyre tread inspection often gets overlooked. This is surprising, shocking even when you realise how often worn tyres are cited as a factor in traffic collisions. In recent years the Garda have stepped up their efforts in checking for worn tyres on vehicles. Dedicated checkpoints have been set-up that exclusively inspect tyre tread depth. Your everyday, law-abiding motorist may be completely unaware that their worn tyres are illegal to drive on. Drivers with worn tyres can be hit with on the spot fines and penalty points. That’s why John Collier & Sons are available to offer practical tips and advice on all things tyres. “Most people aren’t even aware that their tyres have become worn,” says John Collier who has been running John Collier & Sons Tyre Services for years. “People aren’t intentionally breaking the law. That’s why it’s such a shock when they’re hit with a fine or penalty points at a Garda checkpoint.” John continues. In John’s opinion, a little bit of knowledge goes a long way. That’s why he’s available to offer practical guidance and advice to customers who come to his Rathcoole based garage. His business replaces faulty and worn tyres along with offering realignment and balancing services to all types of vehicles. From trucks to plant machinery, John Collier & Sons, have the experience and expertise to deal with all types of tyre related issues. Calling into a garage is all well and good but what does your average motorist do when they discover their tyre tread has become dangerously worn on the M5? Call John Collier & Sons of course. They offer a call-out service that caters to all types of tyre emergencies. 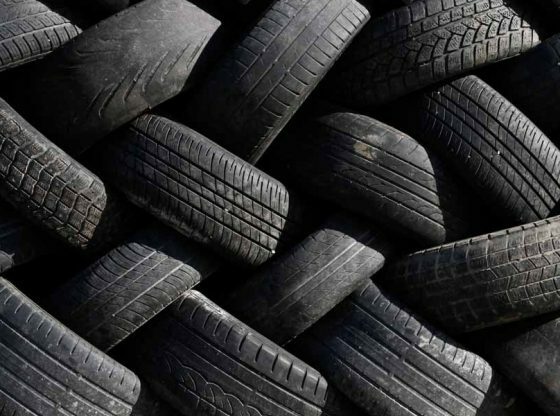 As the public awareness and the increased Garda vigilance regarding worn tyre treads continues to grow, we’re sure to see motorists pay closer attention to their tyres. With businesses like John Collier & Sons leading the charge, measuring tyre tread depth may become as synonymous with responsible car ownership as checking the engine oil dip stick. The Dangers of Defective Tyres – Byrne Tyre Centre Meet HP Autos & Tyre Centre, Engine Remapping, Co. Cork No Job Too Small – John Cook Electrical Extending your home with A.Giffney and Sons Ltd. Navigating the Insurance Industry – John Brady Insurances Ltd.